The vinyasa hatha yoga is the real meditation in motion and provides its practitioners greater emotional balance, energy and willingness to daily life. 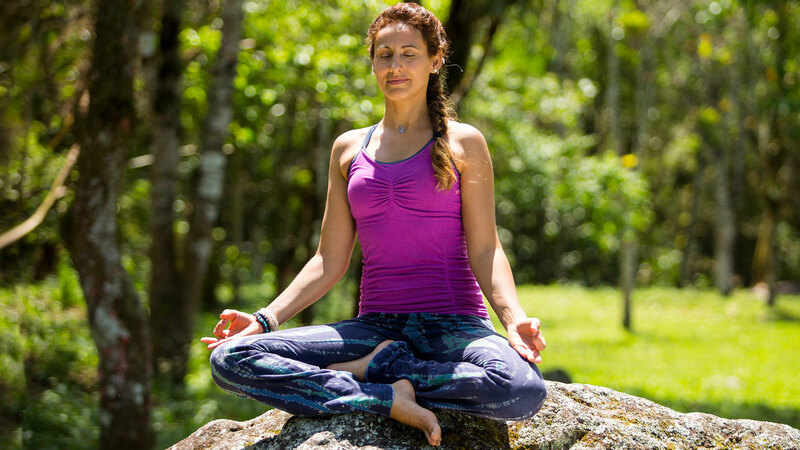 This style of yoga was developed by Camila Reitz from ancient techniques of hatha yoga and ashtanga vinyasa yoga. During the practice, the asanas (psychophysical body poses) are combined with breathing exercises. In the Hatha Vinyasa yoga and Meditation in Motion course will be taught all stages of the practice of this sport. The teachings will be presented in an increasing manner, providing the student with a flow and safety. Goal: in this class, we’re going to explain what the vinyasa yoga is and we’re going to do a complete, initial practice with the basic principles of this modality. Goal: in this class, we’re going to teach what the surya namaskar is, since it’s going to be used in every class, and every step to practice it. Goal: in this class, we’re going to explain the vinyasa yoga concept, how this modality works and its connection with the hatha vinyasa yoga practice. Goal: in this class, we’re going to focus on the forward bend poses and deepen the knowledge about the complete practice of hatha vinyasa yoga. Goal: in this class, you’re going to learn the side bend poses and deepen your knowledge about the complete practice of hatha vinyasa yoga. Goal: in this class, we’re going to increase the class difficulty with detailed explanations about the balance and strength poses. Goal: in this class, following the moves evolution, we’re going to focus on the twist poses details, making the practices more complete and deeper. Goal: in this class, we’re going to explain details about the stretching poses, making the practices even more complex. Goal: in the final class, we’re going to reunite all the principles and technics of the hatha vinyasa yoga, which were presented during the course and do an intense and deep practice.